With the evolving computing platforms, HTML5 development enables the developers to present a great user experience on the web browsers without plugins. Allowing it to be the shapeshifter in changing the focus from what’s on mobile to what’s on the web. We have gained enough knowledge about HTML5 app development and have delivered desktop applications, enhanced complex interactions, video integration, etc. projects for our clients. All the HTML5-based solutions we deliver are secure and scalable. The solutions we develop are built in such a way that they can be maintained easily without any hassle. The certified and well trained HTML5 developers working with Moon Technolabs make use of the most advanced features of the technology and create the best websites and applications. 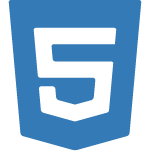 Few of our migration services to HTML5 also includes:Migrate Adobe Flex to HTML5, Migrate Flash to HTML5, Migrate Silverlight to HTML5, Migrate HTML to HTML5. Our company specializes in rendering out-of-the-box solutions and enhance the way your business interacts with your target audience by inculcating new methods, approach, tools and technologies. We follow customer-centric approach and deliver custom solutions based on your business requisites. with End-to-End HTML5 app development services. Our skilled and proficient HTML5 developers deliver spectacular apps. While using HTML5 based tools and frameworks are few of the jubilant skills of our HTML5 team of developers. We have developed feature-rich apps for various industry verticals and offered amazing performance using the latest tools and techniques. Knowledge as precise as it can be perceived in utilizing to build marvellous technological wonder gives advantageous solutions to your business. Benefits of HTML5 Development:Rich audio visuals integration, Easy video & audio embedding, Interactive Features, Immersive Presentation, Focussed web app incorporation, Dynamic website development. We craft our esoteric logical approach pertaining to the customized & personalized need requested by our valuable clients. Keeping top-notch quality parameters for years has turned into a habit now and hence, we absolutely like to lend our ears to shape your business plan/idea into reality apps that offer exceedingly well usability and great potential for your business processes. You can expect fully integrated and innovative HTML5 development proposals from Moon Technolabs. Our attention is to encapsulate on the various & feature-rich HTML5 platform to exponentially expand your presence to global targeted market and respective industry audience.